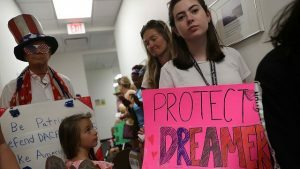 In the midst of Trump’s government shutdown, he has doubled down on the hateful rhetoric he has used from the start of his presidential campaign, in which the inherent “criminality” of immigrants played a central role in justifying a broad anti-immigrant agenda. We are inspired by those who are calling Trump’s demands out for what they are – immoral, racist, and wasteful. There are a lot of articles out there about the political machinations of the shutdown. If you’re looking for some deeper reads from impacted communities and those fighting to end the criminalization of immigrants, please check out this primer. 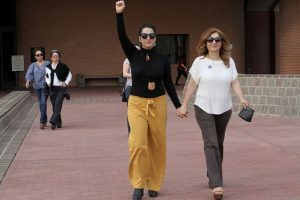 Immigrant & reproductive justice leader Alejandra Pablos writes powerfully about her experience as an immigrant with a record who has been vilified by Trump. National network working to end criminalization of immigrants discusses the disconnect between bipartisan criminal justice reform signed by Trump and his criminalization and demonization of immigrants. As Trump expands prosecutions of people crossing the border, a teenager shares the story of her father’s prosecution and deportation and how she’s fighting to change the laws. 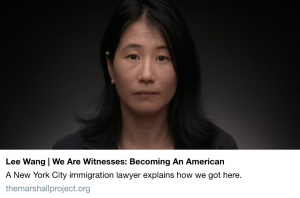 #WeAreWitnesses, a new docu-series from the Marshall Project, seeks to reframe the current narrative surrounding immigration. 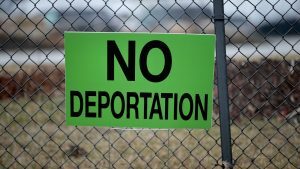 IDP Senior Staff Attorney Lee Wang is featured and she succinctly connects Clinton’s 1996 reforms, 9/11, Obama-era policies, and Trump’s hateful agenda to the current mass deportation landscape.